Cloud software vendor Zoho has opened its first Australian office in Byron Bay to provide local support for more than 20 partners and 90,000 local users. Established in 1996, Zoho has three technology businesses: Zoho, which includes its CRM and productivity tools; Manage Engine, which is a system network and cloud administration technology; and webNMS, used by the telecommunications industry and IoT applications. The local presence will be led by Timothy Kasbe, managing director for Australia and New Zealand (A/NZ) and global large enterprises. Kasbe has told ARN that he plans to expand the one-person local presence to a team of 20 within the next six months. The location chosen follows Zoho's global strategy of setting up its offices in regional areas rather than metro. "Our global strategy has always been to go regional and not going to metro areas," he explained. "In California we stayed out of Silicon Valley, with an office in Pleasanton." The same applies to India and Japan for example where the company's offices are located in Chennai and Yokohama respectively. "We have over 7,000 employees, most of them are in regional areas," Kasbe told ARN. "When we looked at Australia we wanted to follow our strategy and culture of going regional. "That has given us a different kind of talent pool in the sense that we have the highest retention rate of technology in the world." According to Parliamentary Secretary for Northern NSW Ben Franklin, having Zoho choose Byron Bay is a major win for the North Coast and for communities' right across regional NSW. 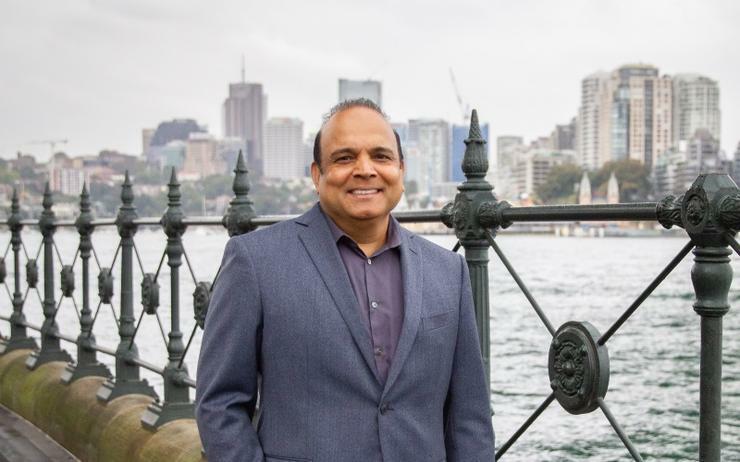 "The NSW Government has been working hard to create the incentives, infrastructure and support that regional communities need to attract international business of the calibre of Zoho," Franklin said. Zoho has so far trusted its partner ecosystem to grow the business locally. Currently the list includes 23 local partners, some of those are Sydney's OscilloSoft, I Want That CRM, Adelaide-based Solutions to Success, Melbourne-based Squirrel Business Hub, ASN Business Solutions from Western Australia and others. Kasbe also told ARN that Zoho has started to work with KPMG and EY as it starts moving more into larger enterprises. Zoho's local strategy will see the company go "neck-to-neck" with other vendors present in Australia, Kasbe said adding that the business has "much better value" to bring to the market. "The same applies on the productivity side, finance and human resources," he added. "As far as customers go we have both the largest and the smaller ones in Australia. "We have a very diversified portfolio against a very wide spectrum of customers that use our software to run their operations. "We are excited to be here, Australia has been an amazing market for us. We feel that Australian businesses are very savvy and they really get what cloud is meant to mean." Kasbe said Zoho has invested "tens of millions of dollars" already in Australia building its cloud for local customers. "We are thrilled that Zoho is expanding its current collaboration with Equinix in Singapore and across the EMEA region to our ecosystem in Australia," added Jeremy Deutsch, managing director of Equinix Australia. "Hosting Zoho’s high value online applications on Platform Equinix will enable Zoho to meet rising demands for digital, cloud and interconnection among companies in Australia." Globally speaking, Zoho's customers include Tesla, Netflix, Nike and Amazon, while locally, the company has named one business so far in the form of Water Filters Australia. "In August 2018, we decided to on-board Zoho's CRM technology to automate our customer engagement efforts, which alone saved our business $100,000 in annual wages," said Craig Hannam, co-founder at WFA. "With our employees having an average age of 55-years old and not being the most technically savvy bunch, it was important to on-board a technology that was both simple to deploy and navigate. "In a short period of time, Zoho has had a major impact on our business and we're looking forward to that continuing into the future."